Relict species of a colder past like Lycaena helle suffer severely from the recent climate warming. Genetic pattern over the western Palearctic distribution range were analysed to obtain evidences on (i) the historical distribution, (ii) postglacial range shifts and retreats, (iii) the recent distribution situation of highly fragmented remnant populations and (iv) possible future trends. (Markers: allozymes, microsatellites, DNA sequences, climate envelope models, morphometry, funded by the Fonds national de la recherche Luxembourg FNR and the Musée national d´histoire naturelle Luxembourg). 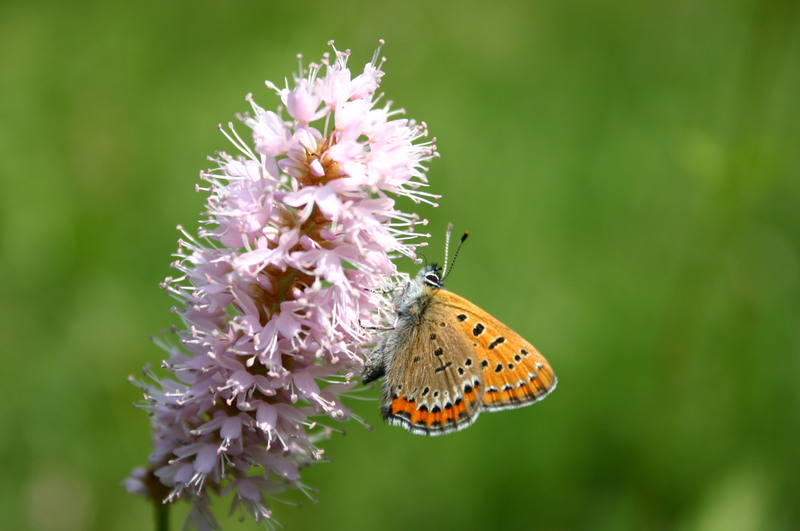 Read more: Habel JC, Rödder D, Schmitt T, Nève G (2011) Global warming will affect genetic diversity of Lycaena helle populations. Global Change Biology 17: 194-205. Habel JC, Finger A, Schmitt T, Nève G (2011) Changing over time: 15 years of isolation influence the population genetic structure of the endangered butterfly Lycaena helle. Journal of Zoological Systematics and Evolutionary Research 49: 25-31. Habel JC, Schmitt T, Meyer M, Finger A, Rödder D, Assmann T, Zachos FE (2010): Biogeography meets conservation biology: genetic structures of the highly endangered postglacial relict butterfly Lycaena helle. Biological Journal of the Linnean Society 101: 155-168. Finger A, Schmitt T, Meyer M, Assmann T, Zachos FE, Habel JC (2009) The genetic status of the Violet Copper Lycaena helle, a relict of the cold past in times of global warming, Ecography 32: 382-390.